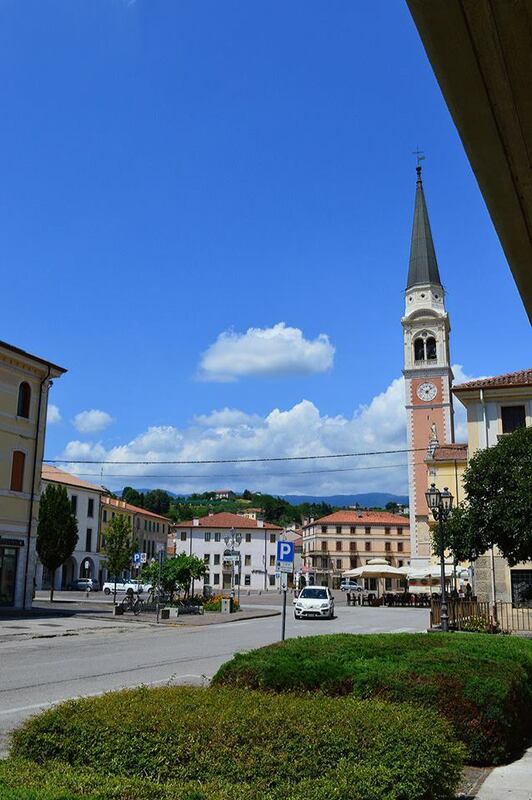 If you've ever thought of living in Italy then the towns of Breganze and Thiene are great options. 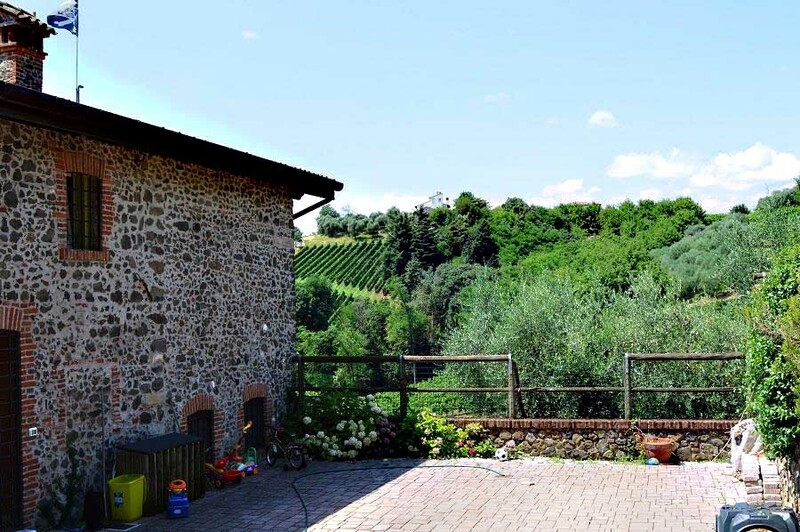 I know everybody always thinks of Rome, Florence, or Venice whenever they think of living in Italy but, although great to visit, they aren't always where you'd want to live. 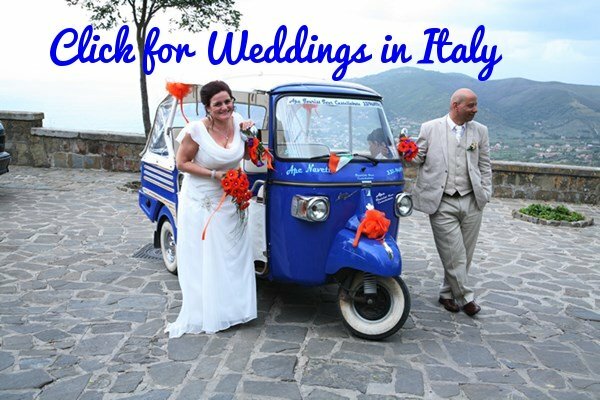 So many other factors need to be considered when moving to Italy, things like health care, schools, public services and the opportunities for finding work. 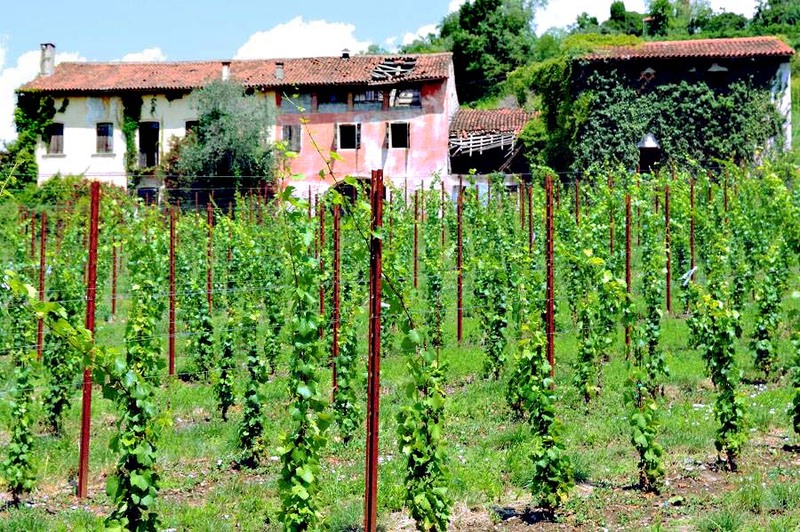 In all of these Thiene and Breganze rank among the best in Italy. 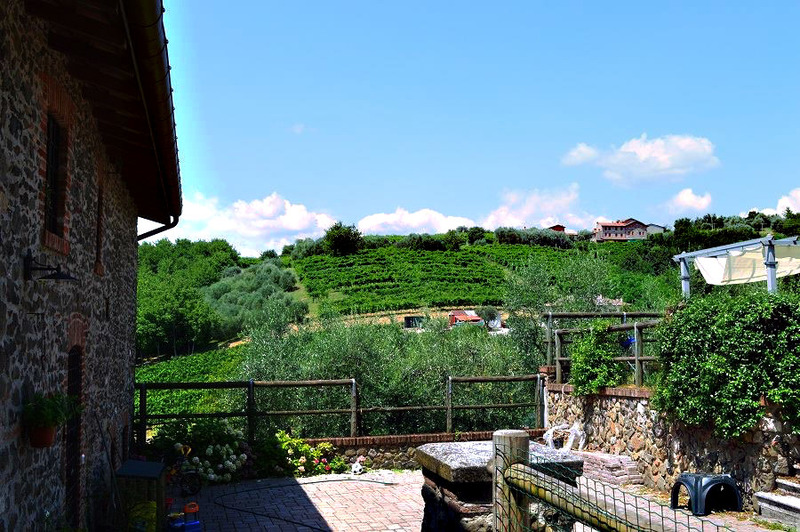 Plus the locals are really super friendly, the towns are lovely - with hills painted with vineyards and towering mountains on your doorstep. 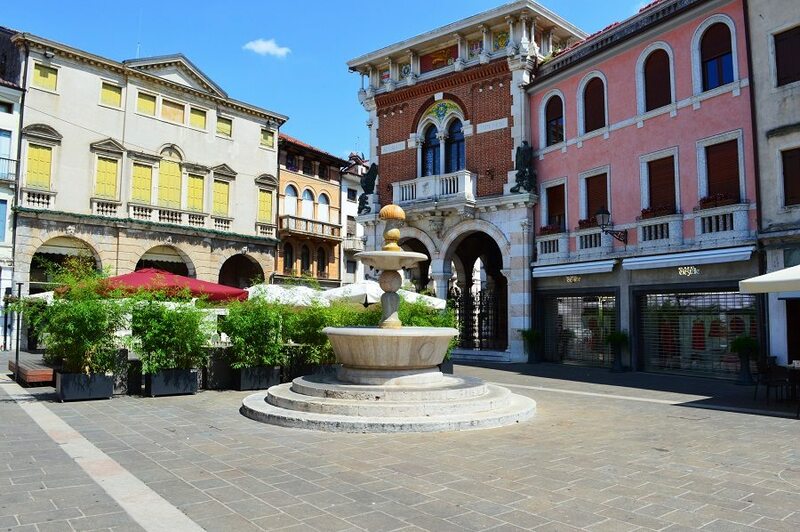 On your doorstep too are Venice, Vicenza , Padova and Asolo. 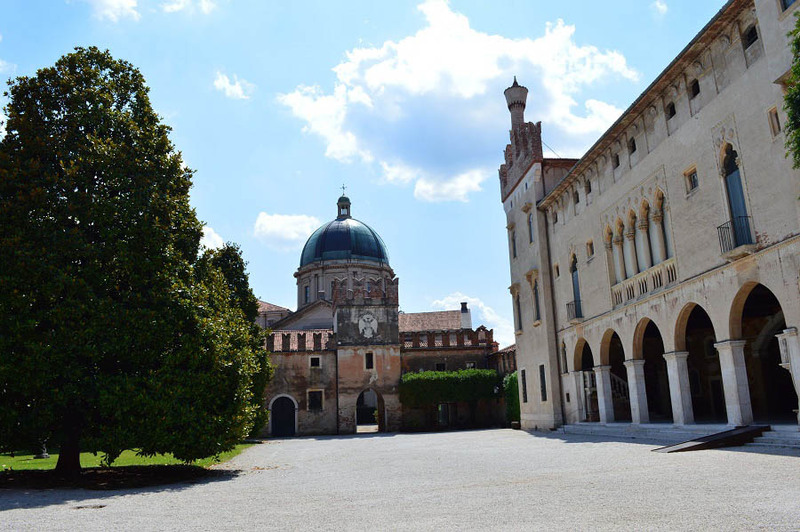 If you do visit this area there's a superb restored monastery (now a hotel) a little outside of Breganze and it is an absolutely wonderful place to stay. You'll find the details here. 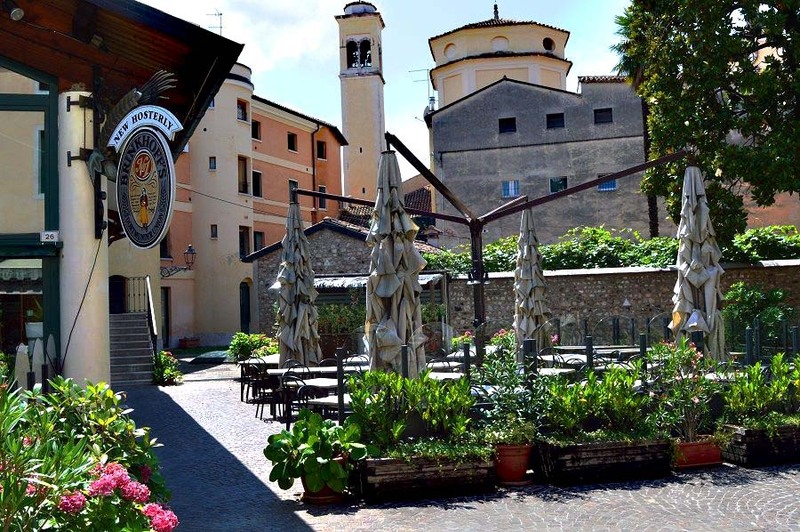 The main piazza is where all the town seems to get together on weekends and after work on weekdays. 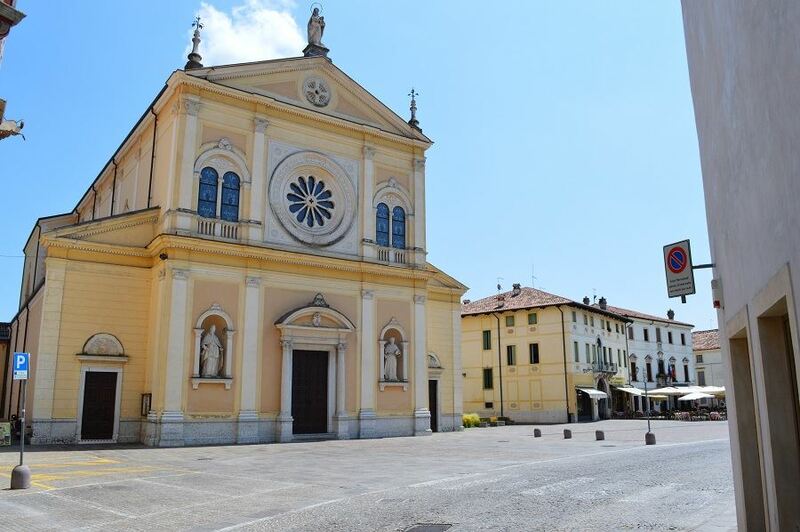 You can't really miss it as the piazza is huge and the Church of Santa Maria Assunta dominates the entire town. 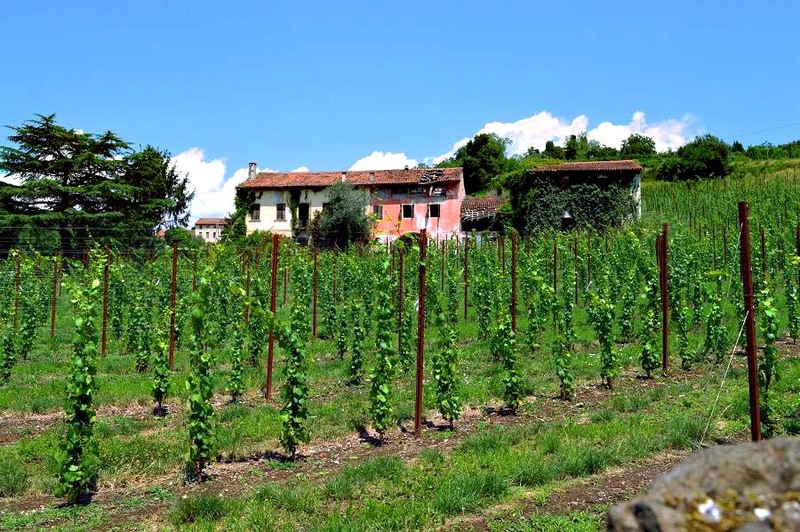 Walk a little outside of town and you'll soon reach the rolling hills, covered wit vineyards, that make the town such a lovely place to be. This old barn is one of my favorite spots, it almost looks as if it has been painted in pastels. 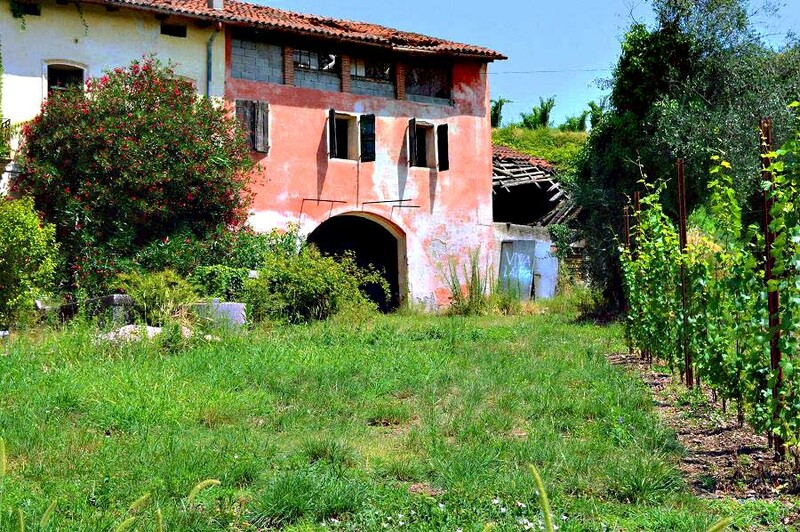 Some famous villas and a lot of picturesque old farmhouses are to be found in and around town. Many of them have been restored while others still need a loving owner to bring them back to their former glory. 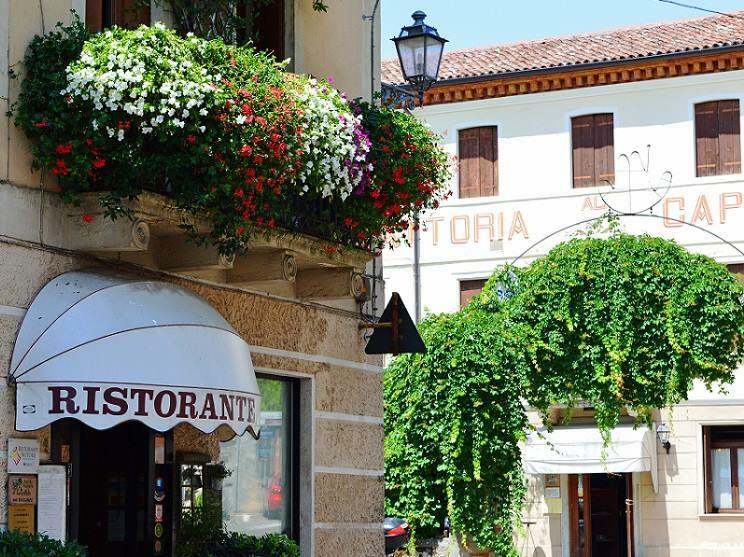 Near the main piazza in town are a number of good restaurants serving traditional dishes and catering to locals. Well, they haven't a choice as there are no tourists to cater to and I can pretty much guarantee you'll be the one and only tourist for the day. Which restaurant to choose? I'd suggest the Trattoria al Cappello which is the restaurant on the right side of the picture below. 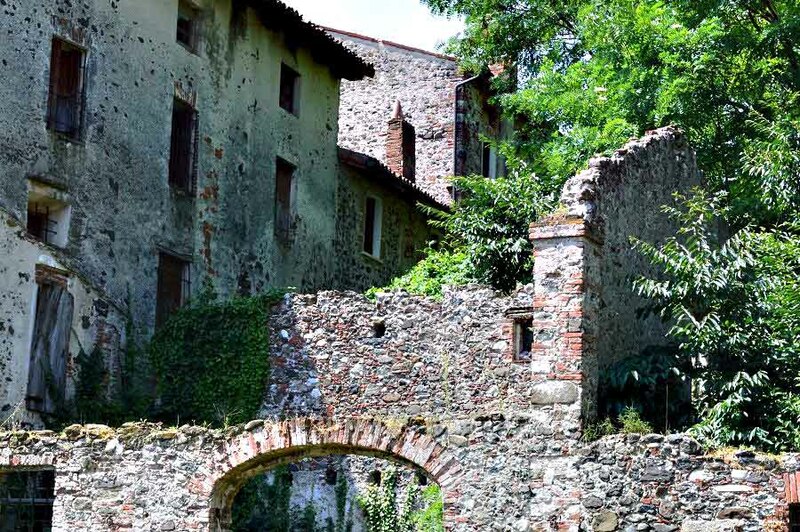 One of Thiene's most famous tourist attractions is the 16th century Castle of Porto Colleoni. 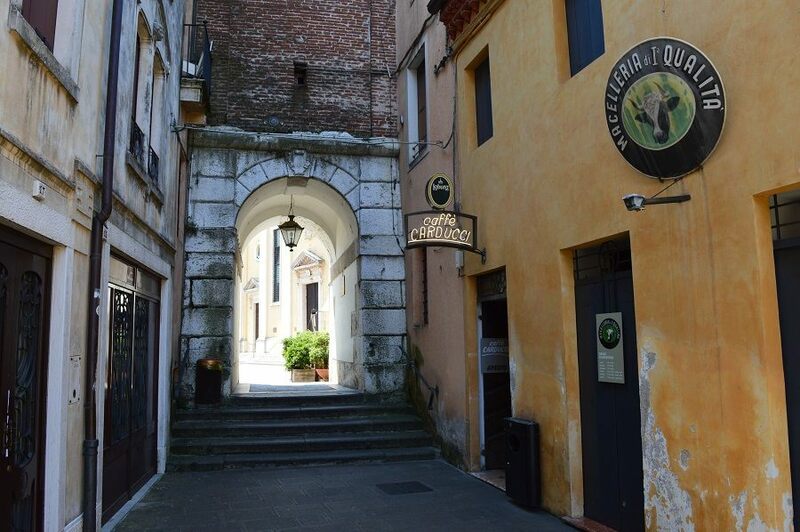 The older part of Thiene is a real pleasure to explore with pretty little piazze, narrow lanes and churches dating back to the 14th century. 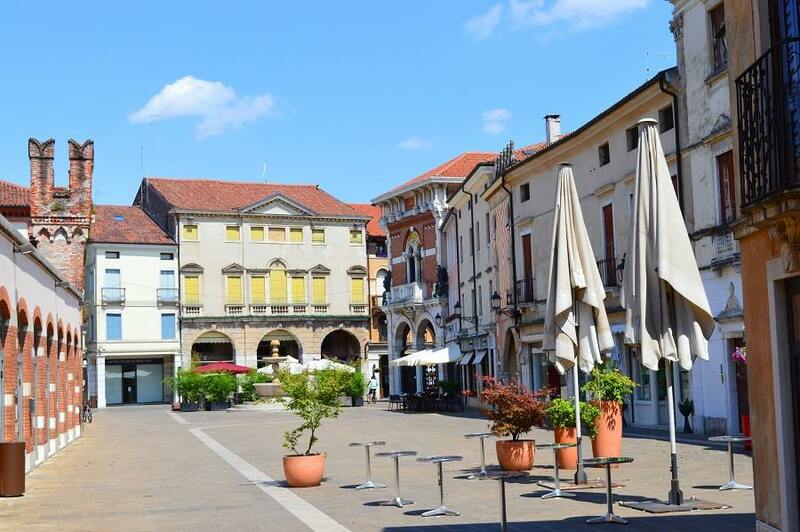 There are a number of really lovely little squares in Thiene. I'm more than capably of wasting a morning here watching the world go by and enjoying a cappuccino.